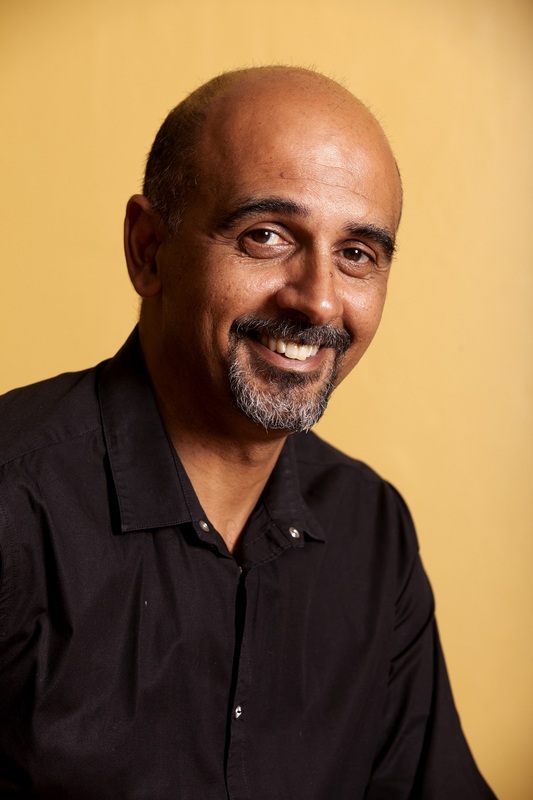 Rehad Desai is well known for his socio-political documentaries. The director presented us with Miners Shot Down which tracked what transpired between miners and mining management following the Marikana massacre in 2012. That was followed by The Giant is Falling which described the emergence of the Economic Freedom Fighters (EFF), the decline of former president Jacob Zuma and the dwindling accountability of the African National Congress (ANC). 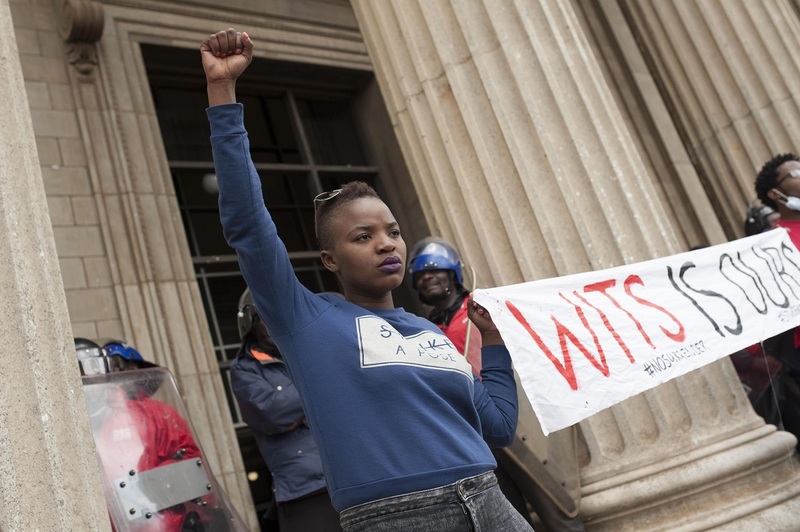 Desaiâ€™s third documentary Everything Must Fall follows the Fees Must Fall (FMF) protests at Wits University. The Daily Vox caught up with Desai in between his travels in Europe where he is showing the film. Whatâ€™s the response been to your documentary film in Europe? Itâ€™s been incredible. People really appreciate the craft. The German struggle was around free education in those states that were held by the Conservative Democrats, the Christian Democrats. It was quite titanic, there were big mobilisations. This was a few years back now, and they won. The politics around intersectionality, gender, feminism and all these things are becoming more commonplace around the world. Itâ€™s new forms of democracy, new forms of organisation. Itâ€™s all in the mix. Why did you decide to make Everything Must Fall? I was very much inspired by the emergence of a new generation onto the political scene. They had clear political ideas. It was an extremely political movement starting with the Rhodes Must Fall movement and then it just took off. These guys rode the fees wave and all of a sudden had a mass movement. It was fascinating and inspirational to observe and to engage. Who was your target audience for the documentary? People like me. Iâ€™m of an older generation, an anti-apartheid activist generation like Wits University Vice Chancellor Adam Habib. People of my generation were quite dismissive of the movement thinking theyâ€™d been through it all, they had nothing to learn, and â€˜what are all these noisy militant kids on about?â€™ I thought what the students were saying was incredibly important, they were asking to be heard. How do you understand why the Fees Must Fall movement happened? Itâ€™s understandable when you look at the massive levels of youth unemployment, the massive pressures to go to university, the accommodation, the classroom sizes, the lack of access to books. You had a perfect storm brewing. Also the levels of alienation felt at the historically white universities started the whole thing in the first place with black majority students at white institutions. A radicalisation happens. Itâ€™s very similar to the student movement that started in the late 1960s with Biko and company. Why did you name your documentary Everything Must Fall? Thereâ€™s a part in the film where student leader Vuyani Pambos says all symbols of oppression must fall. I think this sums up the intersectional approach. It spoke to me. When did you start filming the documentary? Iâ€™m an activist as well. I knew the Workers Solidarity Committee were talking about an national day of action which only involved three universities. But it was an important movement and we knew that things were brewing on campus surrounding transformation and that a large amount of students would support that. I decided to take action because I knew the students could get the workers to join them without the university taking any disciplinary action. I decided I would cover the national day of action on October 6 and thatâ€™s when I started filming. Shortly after that I left the country and didnâ€™t know there was a dispute brewing between students and the administration of the university around fees. My team were quick enough to get onto the thing and were there as soon as it blew. I was directing via Skype, WhatsApp, watching live broadcasts on the internet. Was it like being at the right place at the right time? Yeah. Iâ€™m a former Wits student. I showed my film Miners Shot Down there a couple of times. Students had organised screenings. I had access to the place. Iâ€™ve also known Habib for years. Iâ€™d spoken to him – because I knew things were brewing – before. It was both access and opportunity. Once weâ€™d decided to make the documentary, we moved our offices to Braamfontein to be closer to the action, so to speak. Is that why your documentary was centredÂ at Wits? We couldnâ€™t make a movement that encompasses the whole movement. That would have been a 13-part series. The movement was very different at different universities. Yes, I had the access and opportunity at Wits. But also what was going on at Wits was very interesting: the rise of black feminism, the rise of LGBT voice, the intersectional approach. I decided I wanted to follow a group of students at the forefront and see what would happen to them in the course of the year. That was including Habib. I wanted to see how they would change as the movement went on. Did you anticipate the state response to the movement? The demand for free education is a very political demand: it strikes at the heart of the system. I sensed that the state would come and come in heavy and in the process their consciousness would shift. How did you choose the student leaders who appeared in the documentary? I cast as widely as I could. I had to choose who I would follow based off of the people who would talk to me. Itâ€™s difficult. Leaders are notoriously difficult to pin down. Why didnâ€™t you include ordinary students? While the FMF activists will say it was a flat, non-hierarchical movement which eschewed notions of leadership there were leaders. A number of them were involved in the task teams at Wits. I was looking for those that were leading and I wanted a FMF activist. I spoke to a few of them and I decided on Ntokozo Moloi because sheâ€™s very expressive, she had a lightness about her but she was also very serious and committed. I donâ€™t think I could have gone with more than four characters. Two of them were quite central – Vuyani and Shaeera Kalla – they represented one of the main tensions of the film that being contestation of politics and organisation. It was important for me to have one of the leaders from the EFF Student Command and one from the Progressive Youth Alliance (comprised of ANC Youth League, South African Students Congress, Young Communist League and Muslim Student Association). I do accept that much of the drive was from people who werenâ€™t involved in either formation, who were quite tired of party politics presenting itself as an obstacle to unity. By only telling the story of Wits University, it seems as though what transpired at Wits is the story of the entire FMF movement. How do you respond to that? I can understand that. Iâ€™m a filmmaker and I wanted to make a film about something that I was interested in. Hopefully if I can do that well enough I can inspire others to do their own stories. Good films will hopefully bring other good films. Part of the problem is Iâ€™ve got quite a high profile as a documentary filmmaker so itâ€™s like my wordâ€™s the last word but hopefully, in terms of film, itâ€™s just one of the first works.